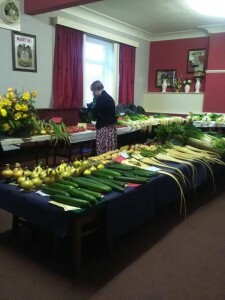 Prize vegetables are a winner for charity. Competition vegetable grower Bill Temple donates £50 of prize winnings to specialist autism care provider’s charity of the year. After winning first, second, third and best in show at Dunscroft Vegetable Competition, Bill donated a portion of his cash winnings to the Goldcrest House charity of the year, The Green Team in Goole.